You are here: Home > MCSD News & Alerts > MCSD News & Alerts > CMS News > 2016 Winter Break Activities at the Y for Middle School! 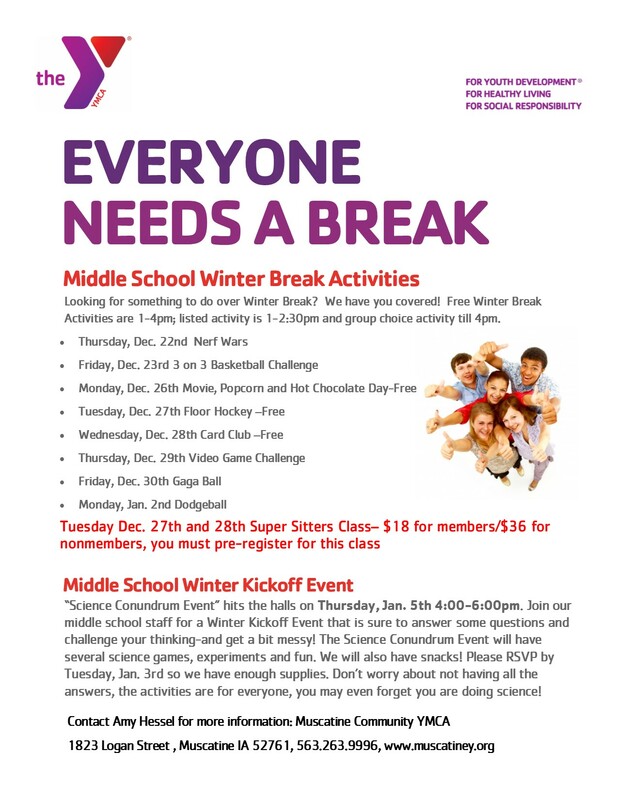 2016 Winter Break Activities at the Y for Middle School! Join the Y over Christmas Break for some free activities. All activities are open to members and non member. Also, checkout the Winter Kickoff Event happening in January.